New Orleans’ rich melting-pot history has always been a big draw for authors. But telling it through the eyes of two antebellum 9-year-old girls — one black, one white — offers unusual perspectives on life’s challenges in the mid-19th century. American Girl Brand LLC, a subsidiary of toy giant Mattel Inc., usually introduces its dolls (and the book characters based on them) one at a time. On August 25, as the sixth anniversary of Hurricane Katrina approached, one of the most positive responses to the catastrophe that devastated New Orleans was unveiled – The Ellis Marsalis Center for Music. Located at 1901 Bartholomew Street in the heart of the Musicians’ Village in the Upper Ninth Ward, and named for one of the city’s most influential pianists, educators and living legends, the Center will serve as a state of the art facility for the preservation and ongoing development of New Orleans music and culture. Big Chief Little Charles Taylor of the White Cloud Hunters Indian gang and Joe Jenkins, who played percussion alongside Big Chief Donald Harrison Sr., quietly sat on the front porch of Jenkins’ house in the Musicians’ Village. The two Mardi Gras Indian veterans watched as a flock of media armed with notepads and cameras scurried around the newly completed Ellis Marsalis Center for Music just across the street. Inside, internationally renowned jazz superstars saxophonist Branford Marsalis and pianist/singer Harry Connick Jr. were holding court, talking about the Center that their mutual visions, determination and much work helped create. 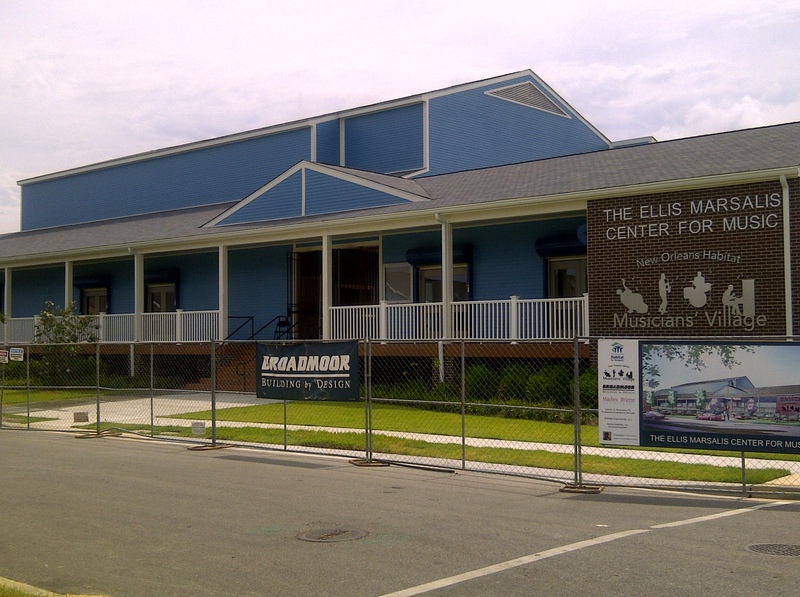 Please visit WWLTV’s website for video footage covering the opening of the Ellis Marsalis Center for Music!